Woman is by nature a shaman. Previously, astrologers would simply mark a chart 'zero retrogrades', however an astrologer, Stephanie Forest, recently saw it in a different way. Rather than zero retrogrades, what she saw was All Planets in Direct Motion. ALL planets moving in sync and harmony together and in the same direction. This only happens at seemingly random times and for differing lengths of time. What are these windows of time for? How amazing is the ability to look with new eyes, interpret something in a different way and open up a new world of ideas? 1. We can consider acceleration, movement and velocity as intrinsic to APDM timings, and observe or apply core potential. 2. We can open to discovery, information and/or messages during APDM. 3. We can meditate and/or dance together, or individually, apply timing and conscious focus to conceive new ideas, organic cures, set the intention, visioning. 4. We can BLOG our thoughts, observations and feelings before, during and after APDM cycles, checking for similar themes. 5. We can take note of apparent APDM themes including faith, confidence, determination. 6. It takes a Village to unpack APDM. our combined participation makes a difference. in fact APDM is all about global participation during the approaching Aquarian Age. 7. We can co-create an enlightening experience through a collective vision for the future of humanity. I created this drawing last night. It flowed out, with little direction from me. A spiky rainbow emerged, colours united, angry and wanting to protect the earth and it's people. 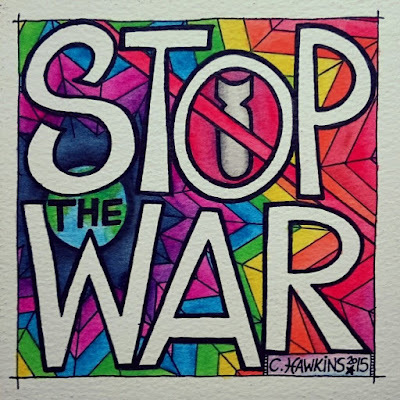 Feel free to share and use it as your profile picture to make a stand with light, colour and hope, not more darkness and depression. 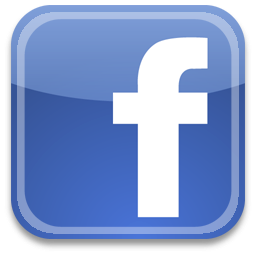 If you're on Facebook come and like my page and share/download the image from there. You can find more of my art at shaktimandala.co.uk. They want us to be depressed and scared. 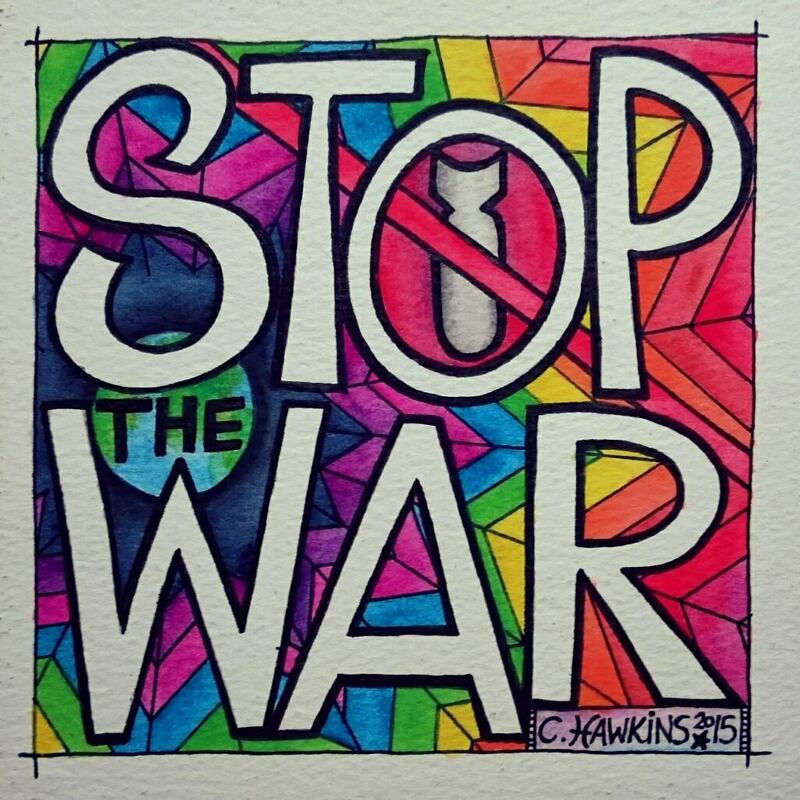 What better way to defy them by continuing to create, to colour the world and bring light into everyday life? On my walk to the shop today, I noticed a load of dry pine cones littering the path. On my way back, I stopped and collected around 20, good sized pine cones. Not too small and not too big. 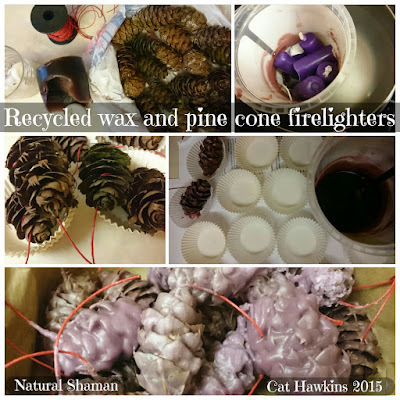 A friend had recently mentioned she was going to make some firelighters by dipping pine cones in wax. I had other things to be doing but decided I'd much prefer to have a go at making some with my pine cone stash (the moon IS in Leo!). I had lots of tea light candle stubs, another old candle that was almost all gone, and some old taper candles. I placed all the old wax in a plastic soup tub and into a pan of water (like a bain marie) and left it simmering. While the wax was melting, I wrapped some waxed cord around the pine cones. I had waxed jewellery cord to hand and wanted to use why I could find, so decided it would do the job! You could use cotton or jute string. Once the wax was melted, I took it out of the hot pan and left it to cool a little. I added some old, out of date clove essential oil. No good for use on me, but all good for the firelighters! You could use up any old essential oils in this way. You still only need a few drops, as too much oil added to the mix will stop the wax from setting hard. If you dip the cones when the wax is very hot, not much sticks and you'll have to dip again, if you leave it too long, each dip will go on a lot thicker. If it starts getting solid, just place back in the pan of water and heat up again. I ran out of the first lot that I'd melted, so melted 3 more taper candles to complete all my pine cones. They don't need to look pretty (unless you're making them as a gift), so leave it 5 mins then dip one, if you think the coating is too runny, wait a little longer. I placed mine in some old fairy cake cups as I thought they would be messy, but actually, I needn't have bothered. The paper would have been fine. Leave them to cool and harden. Place in your fire stack and light the cord near to the top of the cone. Lighting paper around the cones will help get them going too. I've stored mine in an old chocolate tin. Voila! recycled wax and pine cone firelighters! I made 22 in a couple of hours (if that). I'll definitely be doing that again. Wick - cotton or jute, thin string or cord. Old candles, left over bits and unused stubs of wax. Old essential oils, out of date is good! Can't use it on the skin, may as well fragrance the fire! Old plastic tub for melting wax in. Pan of water to use as a bain marie. "It has taken me almost as long to to call myself a shaman (or rather, class what I do as shamanic) as it has to call myself an artist. You never feel that you could possibly be on such a path... surely that kind of thing is for fairytale. Then you realise there is much power and symbolism in the things you see around you, the things that come into your mind and heart, the messages that flow through you and manifest in colour and shape, and they are the only things that excite you and make sense! Following a Shamanic path brings as many doubts and challenges as it does when you follow a path in the arts. Few people take you seriously or understand what you do, quite often you're not even quite sure what it is you do! You can find yourself wishing you were just happy and content in a 'normal' job as it would be much more reliable and straight forward. Art? Spirituality? Shamanism? not exactly the easiest paths to take. 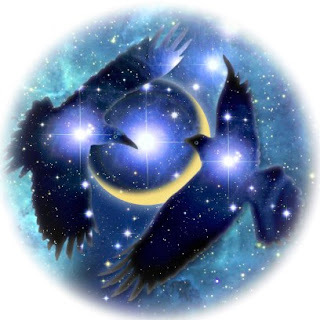 Being a shaman, working shamanically, means being fully present, living your truth and walking your talk. It calls you to find your authentic self. It calls you to help others and to share your gifts. As an artist, I feel the same level of calling. My art has been the one true and centred voice throughout all my years of finding myself. It helped to unravel and sort through the intense mix of emotions and problems I have had. My art is as important to me as my spirituality, my beliefs and my healing. I look back over my life and I see a dark time. Many people who come to shamanism do so after or during a difficult time in their life. For me, it was depression, a hormone disorder, anger and childhood trauma. Over the years of illness and depression, when life felt it was too hard and unbearable, I would draw, paint and create. I had not been able to finish my degree at art college due to the birth of my second child, but decided that art was at least one subject you could do without going to college. Leaving university gave me the freedom to experiment with my art, try new things. 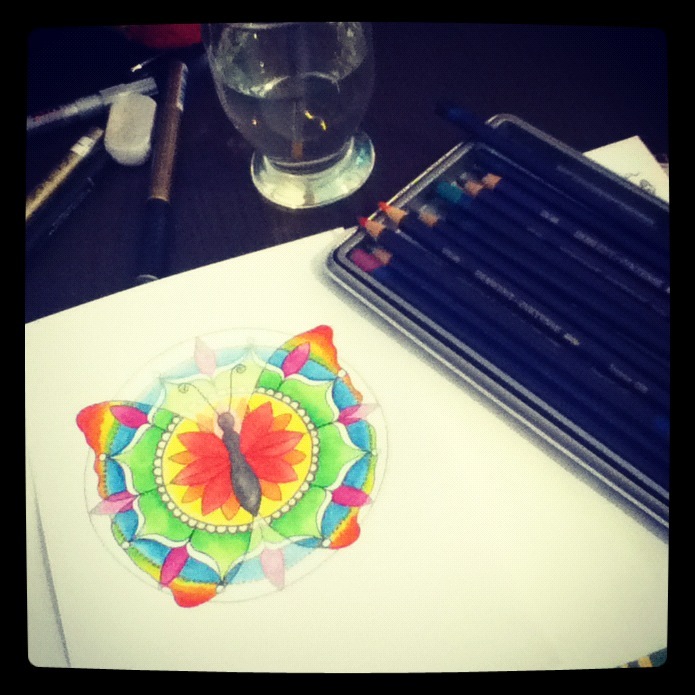 I have always loved mandalas, folk art, symbolic and abstract art, and anything to do with colour healing and symbolism. In fact, over the years of self study into witchcraft, paganism, tarot, colour healing and seasonal festivals, I had developed quite a knowledge and passion for symbols and correspondences..."
It's November, and I promised myself I would start writing again this year... well, the year's not over yet, so let see if I can get into the swing of this again! My work with the menstrual cycle continues but my main focus this year has been meditation, art and stepping out into the world with some new ideas, new experiences and figuring out where I'm at after a long period of recovery and learning to manage my moods and menstrual cycle. This summer has been intense. So much going on, so much changing and shifting. You can read all about it on the blog at my main art website www.shaktimandala.co.uk. 4 weeks ago, I was travelling to meet a Shamanic teacher, ready to start a years 1-1 study. The work had already begun earlier that year when she popped up on Facebook with a friend request and we got chatting. On the way to my first day workshop, everything changed. I had a car accident. I was hit from behind by an 18 tonne lorry. It sounds terrifying right? the blessing is that I don't have any memory of the accident at all. One minute I was about to make a turn, the next I was lying on a hospital bed. Apparently I'd got out the car and was breathalysed, so despite physically functioning, my brain chose to lose the visual memories. Thank you brain. I suffered a head injury and damaged my shoulder and spent a few hours having x-rays and scans. This came after 8-10 weeks of solid work to prepare art for a London show. I'd been slowing down, I'd been resting after pushing it all summer, but obviously not quite enough. The accident was a shock. An abrupt stop. A forceful impact. I had no choice and I didn't see it coming. When something like this happens you can't help but be forced to stop and re-evaluate, re-assess and recover. The work I had been doing over the summer was great, I enjoyed it all, however, it is pretty alien to me to create lots of work to sell. I tend to potter along creating what I feel like, enjoying the odd challenge in getting a commission, and only recently (as money becomes tighter and tighter) has there been any need to try and sell my work. I had put aside the inspirations that had been tugging at my harem's all year, in favour of working on things more appropriate to the show I was attending. Since the accident I've realised that that has actually affected me quiet a lot, and I needed a real change in direction to get me back in touch. I could ramble on forever about everything that has happened, and I may, in future blogs, but for now my intention is to let you know that I have started a Shamanic Art group on Facebook where I will share art tips, progress pics, inspirations, astrology info and techniques to get others starting to live more creatively. My teacher told me after I explained how useless and helpless I was feeling after the accident, that I should think of myself as having beginners eyes, Experiencing a Shamanic death leaves you disorientated and almost wary of the world around you. It got a bit Matrix there for a moment! If you would like to know more about the Art Group, please check out my other blog post, and my art page www.facebook.com/chaoticatcreations. All are welcome, male and female. Once I managed to start drawing again, I drew Ganesh. 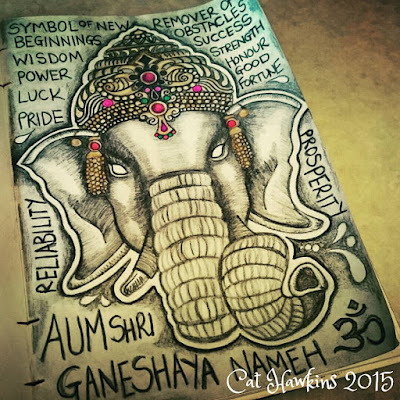 When I looked at the meanings and symbolism of Ganesh I was blown away! couldn't be more appropriate. Once I had discovered it had been a huge lorry that hit me, Jagannath had come to mind. Hindu God of the Universe. The word Jagannath is where our word juggernaut comes from. A huge, unstoppable force. He is described as the 'ecstatic form of Krishna', albeit a rather strange one. He is the only God that is made out of wood. All others are made from stone or metal. Jagannath is also significant in that I learnt of him through a half century old photo from my Grandmothers collection of pictures taken in India. She must have visited the temple at some point. So.. yeah... lots happening. Hopefully you'll hear from me again soon! 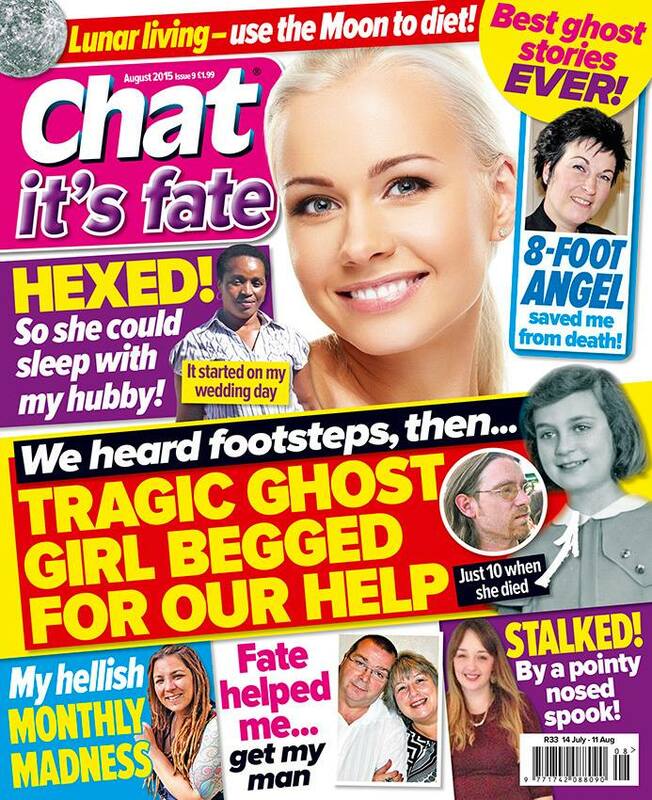 Today, my story came out in the August edition of Chat it's fate magazine. I was contacted by them earlier in the year to share my story about PMDD, the menstrual cycle and my art. I felt this was a way to raise some awareness of how severe PMS can become, along with how I came to heal myself from the worst symptoms. 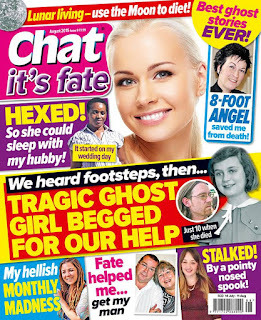 If you would like to read my story you can find it in all larger newsagents for the next month. If you are interested in finding out more about PMDD, please check out my PMDD blog, Meet My PMDD, or visit the UK's National Association for Premenstrual Syndrome (NAPS) or the USA's National Association for Premenstrual Dysphoric Disorder. To find out more about the alternative ways of understanding the menstrual cycle, please have a read through this blog, particularly the article I wrote for Indie Shaman magazine, The Magic of the Menstrual Cycle and my experience at a menstrual workshop with Alexandra Pope. Sign up to learn more about your menstrual cycle with Red School Online. Red School Online is a new way to learn about your cycle, with peer support, fantastic learning tools and private group chat. Go check it out! Red School also features some of my work in their teaching materials, you can find my poster in my Etsy store. If you would like to see more of my feminine art work, please visit my gallery over at chaoticat.com. Hello World. POSTERS back in stock! You may have noticed it's been quiet and things are slowly changing round here. 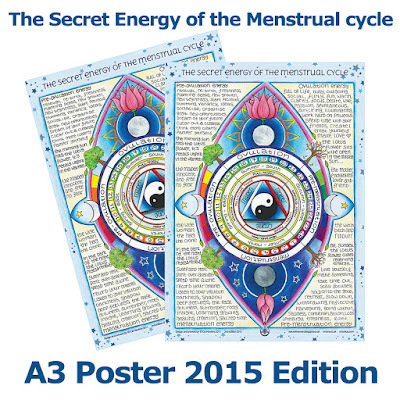 There are more changes to come, but the most important thing right now is that the Menstrual cycle poster is now in it's 2nd reprint. Orders are being taken and stock will be sent out after 20th July 2015. I feel honoured that my poster and chart has made it's way into the new online programme being offered by Alexandra and Sjanie at Red School (formerly the Women's Quest). If you have been after a poster, my apologies! It's been a tricky year so far and I've had to go with the flow as so many others are having to do. The poster has had a few tweaks. A shorter title and updated logo, but other than that it's the same as before. It is now however printed onto 100% recycled paper using eco-friendly vegetable oil based inks. The paper is also chlorine free! Being able to offer my artwork in such a way is exciting and the quality is simply stunning. All posters are sent out in recycled cardboard tubes. There is no price increase. It's still £12 for a poster but I'm also offering a discount of £20 for two posters, saving you and a friend money on the posters and the shipping. There is no extra shipping costs if you order two posters. It's an excellent time to buy one for you and gift one to your favourite girlfriend. So for now, please go check out my Etsy store and share with your friends. More changes are coming here, so watch this space (as they say!). Poster now available on Facebook!